The fall winds blow with a hint of that winter chill. Here at Dodge all are teen crews are rapped up with. The past Friday was the last Dodge barbecue, the teens and pro crew were all treated to a compilation of meats, many greens, cucumber and squash from the garden. We harvested most of the potatoes and got some great looking roots. The sun was out, the cool winds blew and people were very much enjoying themselves. With the end of summer comes the beginning of school. Anya the cook had to leave the household on the 17th so one of the head leaders, Ashley had to do the prep for the barbecue. She was on the Hut crew in years past so the daunting task for cooking for 50 plus was no big deal for her. She did a great job and we are glad for the effort she put into it. The leaders have also started to trickle out of the camp. 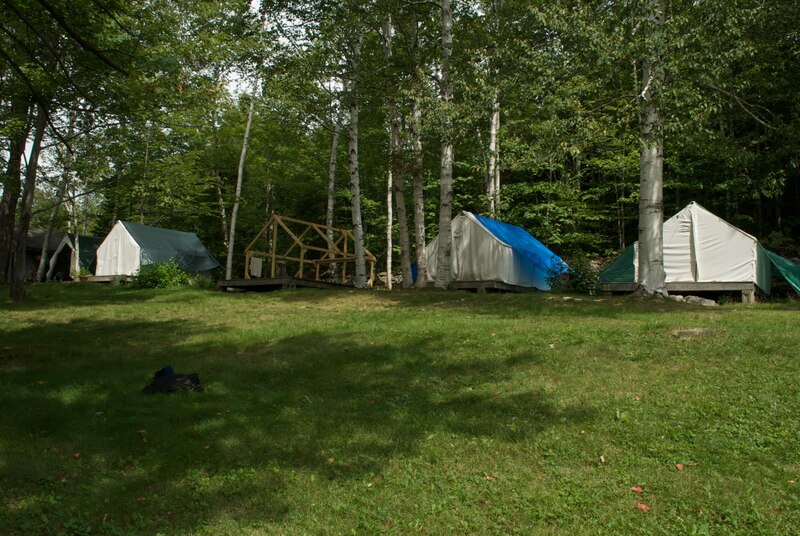 Marin, Joey, Tom and Nate all have vacated their tents. Most of them head back to school this fall, I wish them the best of luck. Unfortunately for me it has been raining the past few days, feels like the first time all summer, so most of them could not take down their tents. It is amazing how quickly Dodge goes from being as busy as ever to quieter then a grave yard. The nights now are filled with not much more then the chirping of the crickets. The skeletons of the tents started to crop up around the camp, bringing flash backs of what this place looked like the first day I moved up here. Over the next couple of weeks tent by tent will be striped down and all that will be left will be the frames. By the time that September comes around only 4 tents will remain standing, all the leaders will be gone and it will be time to really rap things up here at Dodge. Already the teen boys bunk house has been closed for the season. Watching Dodge wind down is a sad thing, it was a great year with great people. They will all be missed. This is 51 Goose clear with Camp Dodge journal, have a great fall everybody, the leaves are starting to change.